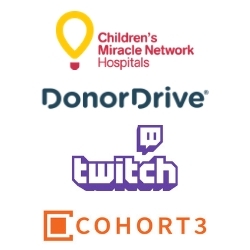 Cincinnati, OH, March 12, 2019 --(PR.com)-- DonorDrive®, the technology behind top peer-to-peer fundraising platforms for nonprofits, is joining industry leaders to host an immersive livestream fundraising bootcamp on Thursday, March 14, in Portland, Oregon for nonprofit professionals. Experts at DonorDrive are seeing nonprofits can reach new levels of success through livestream fundraising technology. This four-hour, hands-on course will provide an overview on streaming, a tutorial on best practices, and low cost ways to employ the technology. For additional details and to register for this session, please click here. DonorDrive helps hundreds of organizations like Mothers Against Drunk Driving, Children’s Miracle Network Hospitals, American Foundation for Suicide Prevention, and Arthritis Foundation to raise more than $1 Billion. Learn more at DonorDrive.com.